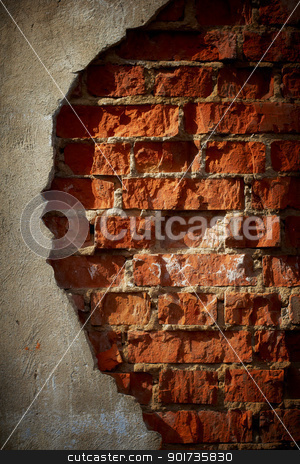 Old grunge brick wall with space for text. Vertical orientation. Photo of Old grunge brick wall with space for text. Vertical orientation.